I compiled my own list (but yay for 10!) and went from there. I never stepped foot in a baby store to register. I did everything online and used BabyList.com to compile a registry. I didn't want the fluff, just the priorities! Anyway, now that I'm 4 months in (still figuring it out!) I thought I shout put it out there what I couldn't live without! Disclaimer: you do you. All moms do things differently based on their own preference for their babe. There are definitely things miss Frankie prefers that yours may not! So it's obviously a blueprint. What works for me, may not work for you! Like swaddles. Good grief swaddles are a trial and error project. She loved this thing as a newborn. It allowed me to walk around the house and do other things while she rocked back and forth. She took some quick cat naps in it as well. side note: Frankie did NOT like the fancy 4moms one. Thank goodness we didn't pay full price for that thing! We purchased one secondhand. 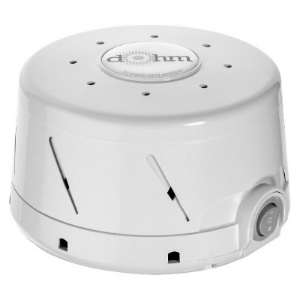 We followed MOC (momsoncall.com) closely with her sleep schedule and were adamant about using a sound machine per their advice. She has slept like a dream. I love this one because it plugs in and isn't on a timer. We DID buy a portable one as well that we throw on her car seat/stroller. We try to keep her on a consistent sleep sked (+ sound machine) so she associates nap time with it. Frankie is 4 months and still plays on this mat. It was a great way to introduce little toys hanging down for her to grab onto. It also folds up nicely to transport wherever, which I'm always a fan of! I was bad about pumping in the middle of the night when she started sleeping through the night. Because, sleep. I tried fenugreek, brewers yeast, oatmeal, mothers milk, you name it to increase supply and just never made the freezer full like some people! This little thing helped tremendously though! It took a while to figure it out, but I always got a decent amount, which went straight into the freezer! I love it because it folds up (and at different heights!) and is great for travel (always a win in my book). I put her in this when I shower and get ready in the morning right now. I took this to the pool and kept her in the shade and she loved it. She can use this until she's 2 years old, so I love the "longevity" of it. So these are great if you hate laundry. And I hate doing laundry. These minimize the mess on your changing pad covers and minimize the amount of times you wash them! I love the zip front sleepers, because ain't nobody got time for all dem buttons. Burt's Bees Baby's clothes are so incredibly soft and snuggly! I also think its great they have convertible footies and available via Amazon. Bonuses. All hail the marshmallow/Michelin man suit! Our girl was quite the wiggle worm with some serious upper body strength! She was rolling over in tight swaddles pretty early on because of her torpedo like tendencies. After some serious trial and error, this suit worked it's magic, so to speak. It kept her on her back and lessened our worry in the middle of the night. I also like how she will get a good 3 months out of this bad boy. Worth the money. Okay so everyone mentioned to me about registering for the Boppy, but I never understood WHY. So here's WHY: It's best when your little one is a few months older. You'll find it useful for tummy time and propping their body. I prop her up on her tummy and put toys in front of her to grab. I did *not use the Boppy lounger. I did *not use this for breast feeding either. Both personal preferences!